Correctional Nurse Goals for 2015: Expand Your Network! It is pretty easy to feel isolated in correctional nursing practice. We work in a mostly unacknowledged specialty with a patient population that many think do not deserve good nursing care. We can easily feel as vulnerable and marginalized as our patient population. Combine with that the ‘push back’ we can sometimes get from the culture of incarceration (pressure to be less caring and concerned for the well-being of our patients) and it is easy to see why many in our practice settings feel overwhelmed and underappreciated. Nothing beats a face-to-face chat to regain perspective and feel supported. Are there local opportunities to meet with other correctional nurses? For example, does your state prison system host any activities or events that bring nurses together? How about the state nursing association? Some states have specialty practice forums that may include correctional nursing. Consider a neighboring county jail. Suggest forming a journal club or meet-and-greet where correctional nurses can gather and develop relationships. Another way to network with correctional nurses is to attend a national correctional conference. Your facility management may be involved in the American Correctional Association or the American Jail Association. Both have conferences that are attended by health care staff. See if there may be funding for your attendance this year. (TIP: Before requesting funding, research the event and suggest ways some of the presentation content may be applied to make improvements in your facility). Other excellent national conference to attend are any by the National Commission on Correctional Health Care (NCCHC) or the American Correctional Health Services Association (ACHSA). These conferences are solely for correctional health care professionals and are attended by many correctional nurses. Opportunities for networking abound during exhibit hours, sessions, and round table discussions. Additionally, regional conferences are offered by ACHSA chapters in California/Nevada, Oregon, and the Southeast Region. When attending a conference, be careful to mingle with people you do not know and sit at tables with others you would like to meet. If you attend with a group, make plans to attend different sessions and compare notes rather than traveling about the conference as a group. This will expand your opportunities to meet new people. I hope you expand your correctional nursing connections this year and develop a personal network of fellow nurses. We need encouragement and support to recharge our careers, enhance professional practice in our specialty, and improving health care for our unique patient population! What will you be doing this year to network with other correctional nurses? Share your ideas in the comments section of this post. This entry was posted in Uncategorized and tagged Essentials of Correctional Nursing, jail nurse, Lorry Schoenly, National Commission on Correctional Health Care, prison nurse. Bookmark the permalink. 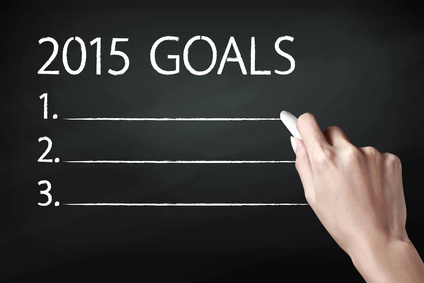 ← Correctional Nurse Goals for 2015: Get Certified!